Cold-shouldered by the UK and US, Zimbabwe has a new best friend: France. Finance minister Mthuli Ncube flew to Paris on Friday for treasury talks behind closed doors. In search of urgent funds for his crash reform programme, Zimbabwe’s finance minister, Mthuli Ncube, held closed-door talks with French treasury officials and a consortium of international banks in Paris on 8 March. Paris says “Bienvenue”; UK and US say “Non”. Zimbabwe’s bid to strengthen ties with France follows a deterioration of its relations with the United Kingdom and the United States in the wake of the deaths of several protestors in clashes with security forces in January. A source close to the talks in Paris on 8 March said the UK government had “lost interest” in President Emmerson Mnangagwa’s government and was preoccupied by the crisis over its planned exit from the European Union. Diplomatic shift: Under Emmanuel Macron’s presidency, France has pursued a far more activist policy in Africa than either the UK or the US, visiting the continent nine times since his election in 2017. The UK’s Prime Minister Theresa May has managed just one trip to Africa; President Donald Trump has never visited the continent. France has 47 embassies in Africa compared to Britain’s 36. (Pardee Centre for International Futures, Diplometrics Project). What came out of Ncube’s Parisian éscale? The talks focused on the immediate need for funding to bolster Zimbabwe’s foreign reserves and its new currency system, banking sources told The Africa Report. There were still “substantial obstacles” to raising short-term funding but there were some proposals for a more innovative approach. Ncube and officials at the Ministère de l’Économie et des Finances in Paris also discussed a road map for Zimbabwe to pay off its mounting foreign arrears. 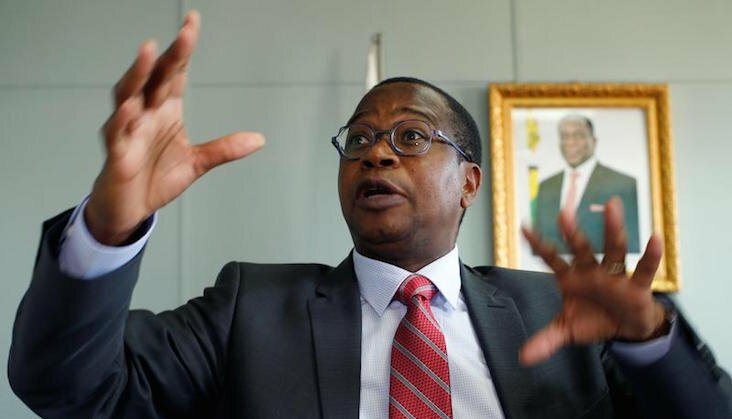 One route would be for Ncube to convert the government’s homegrown reform programme into a Staff Monitored Program with the International Monetary Fund. Such programmes don’t come with money but can help governments build a track record of reforms and attract short-term finance from other sources. Its conditions would include a halt to funding the budget by the Reserve Bank. Fix arrears before new funding. IMF spokesman Gerry Rice said on 7 March that Zimbabwe’s more market-linked foreign exchange policy was a “step in the right direction to address distortions”, adding that it would “need to be supported by market determined interest and exchange rates, together with prudent fiscal policies”. An IMF programme would be just the first of ten steps before Zimbabwe would be able to access substantial new money from the international financial institutions. Next step would be restructuring the debt. Zimbabwe owes about $2.1bn in arrears to the World Bank and the African Development Bank, and $3.3bn to bilateral creditors, most of which are members of the Paris Club. Before his Paris trip, Ncube had spoken of reviving the Lima process under which France’s Lazard Frères and Afreximbank would offer some bridge financing to help Zimbabwe repay the arrears. It would then, provided it had met the targets on the programme with the IMF, be able to access some new money. But that would also depend on meeting political conditions set by the US. Ncube was in Washington DC to meet Christine Lagarde, IMF managing director and former economy minister of France, on 5 March. The same day, President Trump’s administration extended sanctions on Zimbabwe by another year, stating that Zimbabwe government posed “an unusual and extraordinary” threat to US foreign policy. These sanctions mean that US officials at the World Bank and International Monetary Fund will vote against any new financing for Zimbabwe. Harare has responded by hiring Ballard Partners, lobbyists close to Trump, to change the policy. Where the money is needed now: On 20 February, the government devalued its surrogate currency – dollar bond notes, or “Zollars” as they are known locally. It urgently needs foreign exchange to stabilise the new monetary arrangements, otherwise it risks another currency crisis and a new round of hyperinflation. Prices increased by over 56% in January alone. Last week, Zimbabwe secured fresh funding from the Afreximbank in Cairo – to which it already owes more than $680m – as well as from the African Development Bank and neighbouring Mozambique. What’s next? This week, South Africa’s President Cyril Ramaphosa is due in Harare, where some neighbourly solidarity will be expected from him.